The base plate of the PM866 / PM866A controller has two RJ45 Ethernet ports (CN1, CN2) for connection to the Control Network, and two RJ45 serial ports (COM3, COM4). 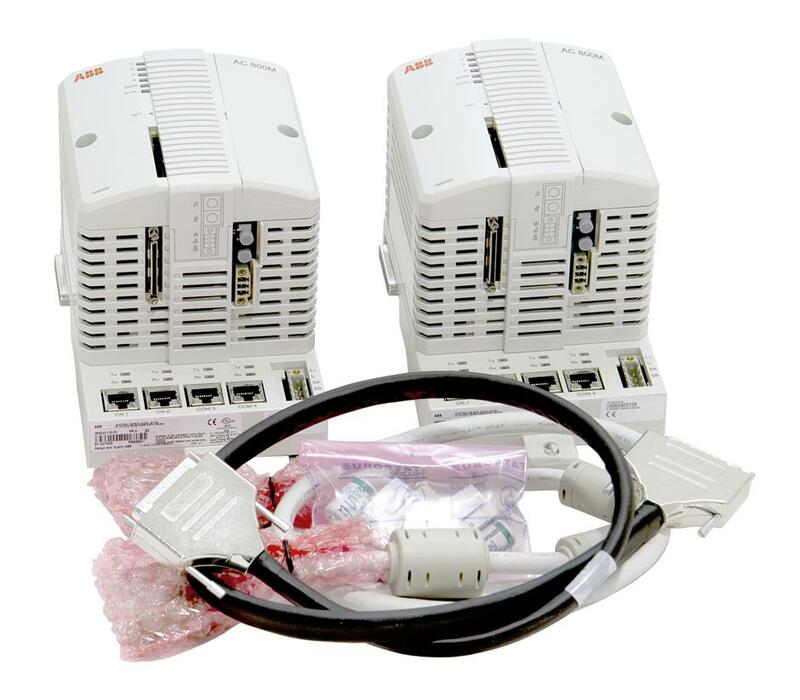 One of the serial ports (COM3) is an RS-232C port with modem control signals, whereas the other port (COM4) is isolated and used for the connection of a configuration tool. The controller supports CPU redundancy for higher availability (CPU, CEX-Bus, communication interfaces and S800 I/O).